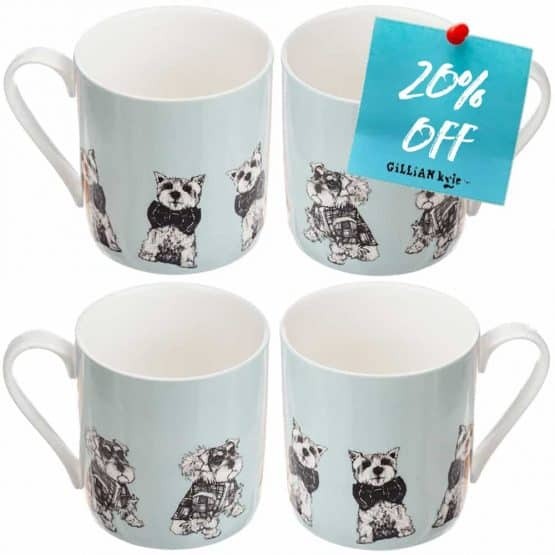 A set of 4 fab Gillian Kyle mugs from our fun ‘Love Scotland’ range; a lighthearted celebration of Scotland’s most famous icons. 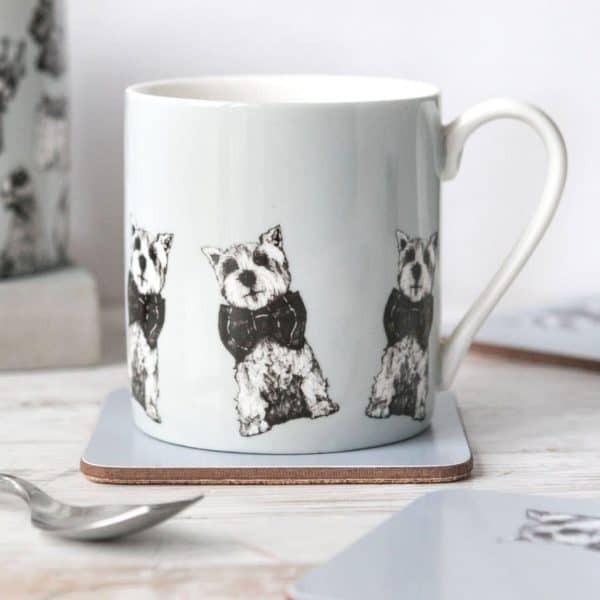 This set includes 2 each of our ‘Hamish’ and ‘Archie’ designs. 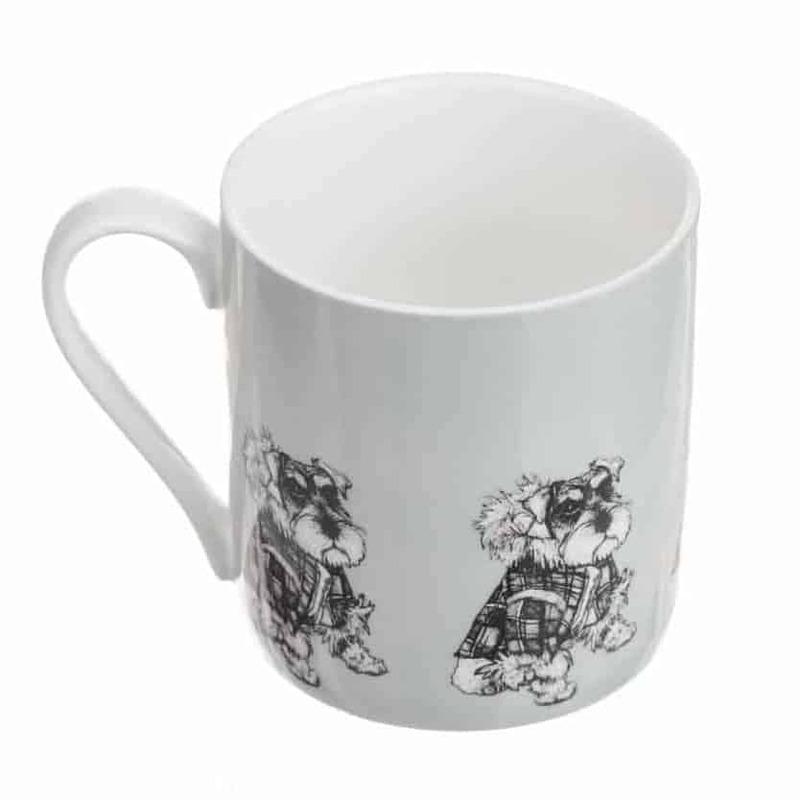 It makes a modern and stylish Scottish souvenir or gift to take or send to friends or family abroad. 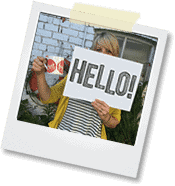 And hardly a hint of tartan! See the full Love Scotland range here. 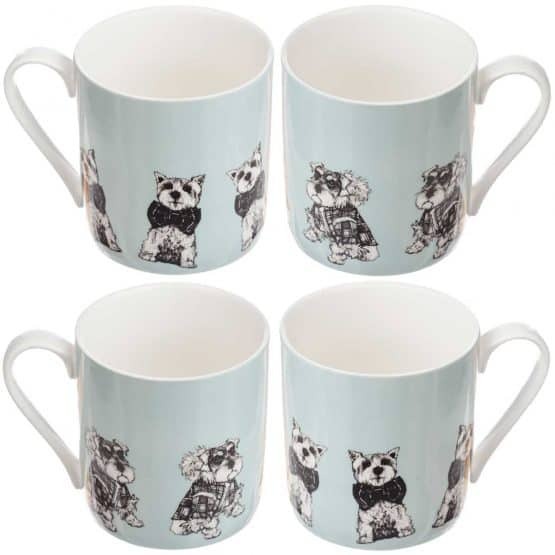 A set of 4 large fine china mugs from our ‘Love Scotland’ range; 2 x ‘Hamish’ design, 2 x ‘Archie’ design. 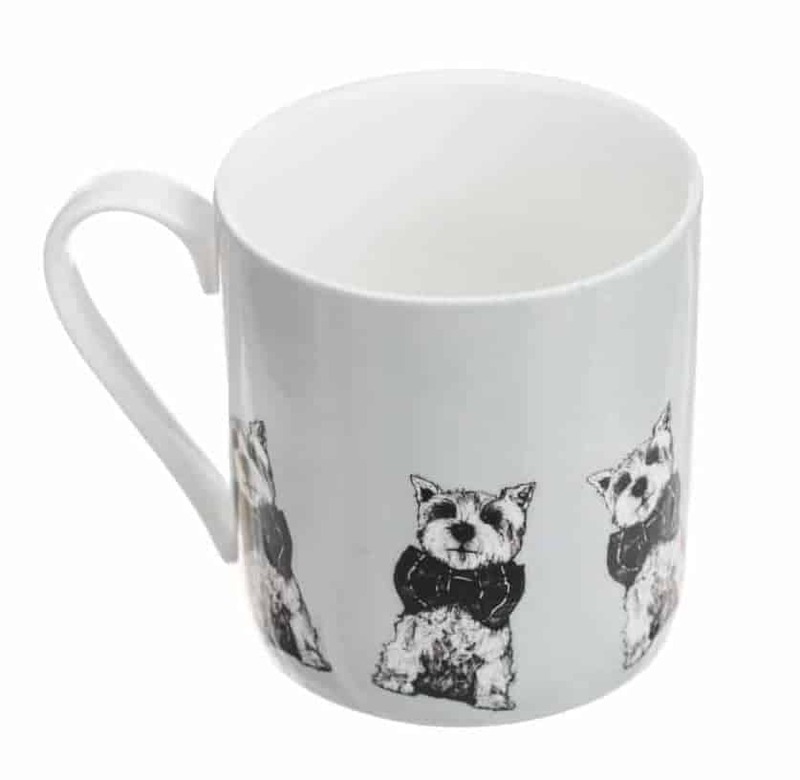 The mugs measure 8.25 cm in width and 9 cm in height (3.25 and 3.5 inches). 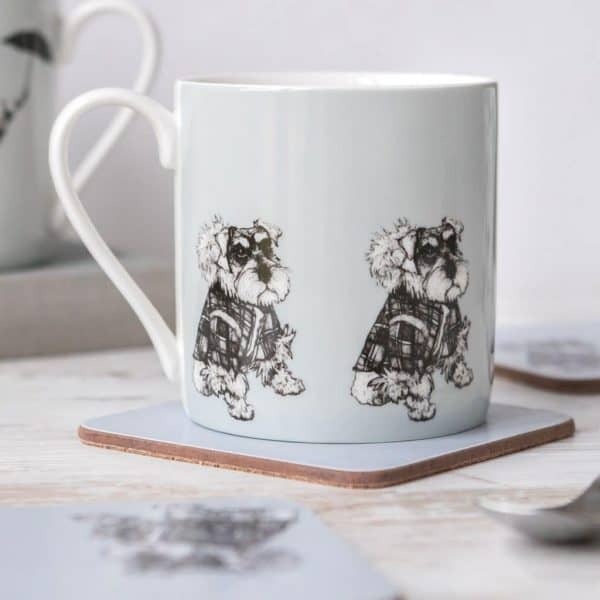 If you like this please take a look at the rest of our ‘Love Scotland‘ range – lots of great present options for men and women alike!